Reace, aged 27, was over the moon when Open Minds encouraged him to have deeper control over the selection of his Support Worker in Ipswich. Reace has always wanted more opportunity to be involved in choosing the right person to support him as he lives with autism, complex PTSD, borderline personality disorder, depression and other complexities that means he’s struggled to find a supportive service provider to meet his needs. When Reace approached Open Minds in January 2018, the team offered him the opportunity to join interviews that were taking place to hire his Level 3 Support Worker. Reace asked his own questions during the interviews to help decide which candidate he’d prefer. When he met Theresa Le Kim, he knew she was the right person straight away, and Open Minds proceeded to offer her the role. Open Minds is now also supporting Reace towards achieving his life-goal of becoming a qualified truck driver. The team work closely with Reace to ensure his days are filled with fun activities, laughter, and truck driving lessons to work towards his goal. If you or someone you care for would like to find out more about the NDIS, and the choice and control that we can provide, visit our NDIS page. In a bid to help people clearly understand and navigate the NDIS, new booklets have been developed. 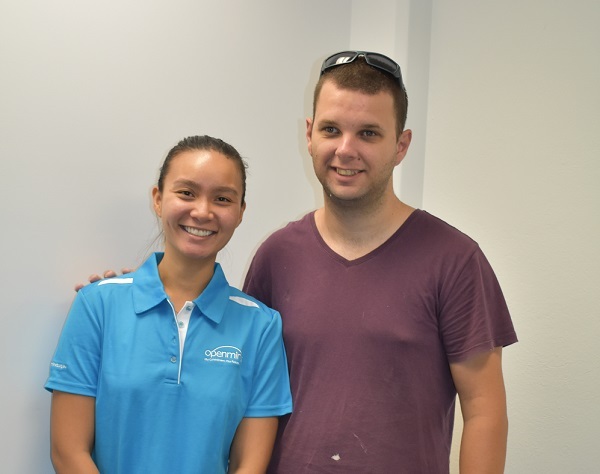 The Open Minds team in Townsville have introduced a new way to pair people with Support Workers best suited to them – a catalogue of staff profiles.